Ouzoud waterfalls excursion: Day trip from Marrakech to discover the prettiest falls in North Africa one of the natural wonders of Morocco. 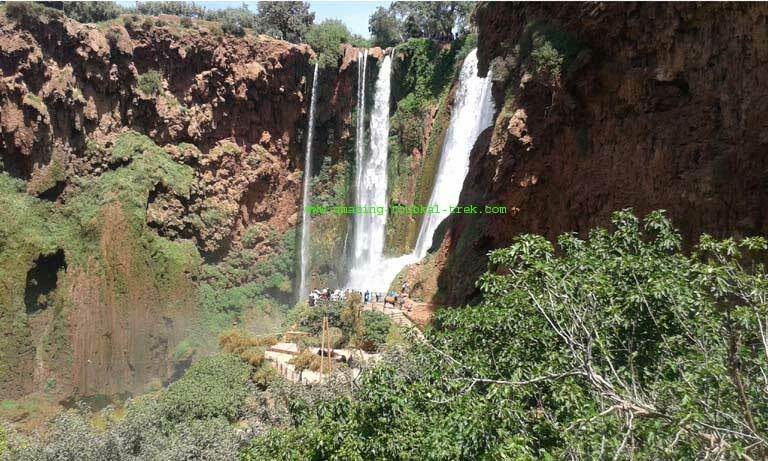 The Ouzoud waterfalls are located in the Grand Atlas village of Tanaghmelt in the province of Azilal. There is about 3-hour drive and 150 km north-east of Marrakech. Falling from a height of 110 meters, the falls plunge into an endless series of pools that cascade one into another through three major and several minor drops. It is a stunning view from the bottom up! Take pictures of the rainbow that often appear near the bottom of the falls. Everything just captures your eyes when you arrive at Ouzoud, from the olive grove, the food, herbs, and people! The waterfalls great you with all their splendor and breathtaking majesty. Ouzoud waterfalls are dumping water to a beautiful oasis down below with a couple of restaurants and observation points. – Enjoy the traditional Berber meal, a Tagine with a panoramic view of the falls. 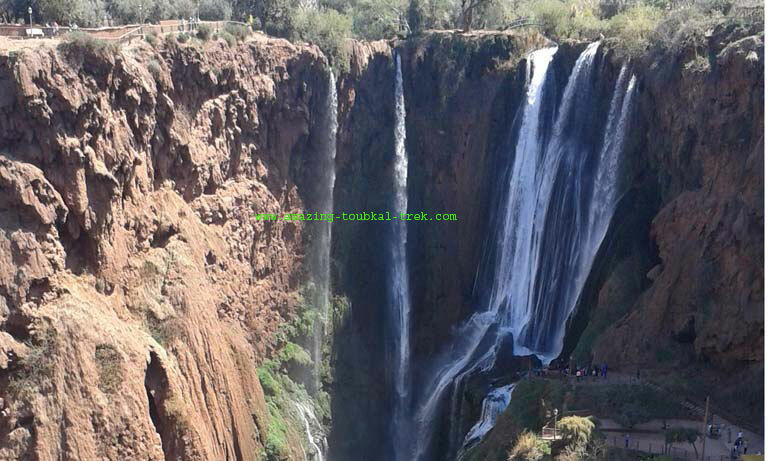 – Ouzoud waterfalls excursion is available and can be arranged for groups of all sizes. 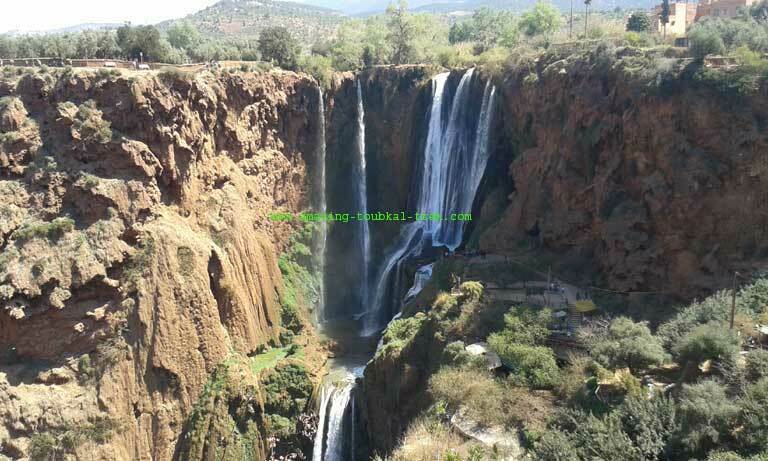 Ouzoud waterfalls excursion: Escape the heat and hustle of Marrakech on a trip to the tallest waterfall in North Africa.